Even though my blog has been quiet, I have been super busy with projects. 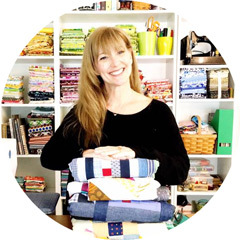 I have been helping my lovely friend Pat Sloan with one project for her upcoming new fabric collection One For You, One For Me ( and it is a BEAUTY!) and now I am working on some amazing projects for Sara's booth with Art Gallery Fabrics for her new collection Jungle Avenue. It has been so much fun sewing everything with these wonderful colors! A few months ago Accuquilt sent me some new dies to play with and I made the AMAZING Babylove Quilt with the snowball die for a friend. Included in the set was a clamshell die. I had been looking at clamshells for so long but have never wanted to sit and cut all of those curved pieces and wanted to see if I could find a new way to use them. 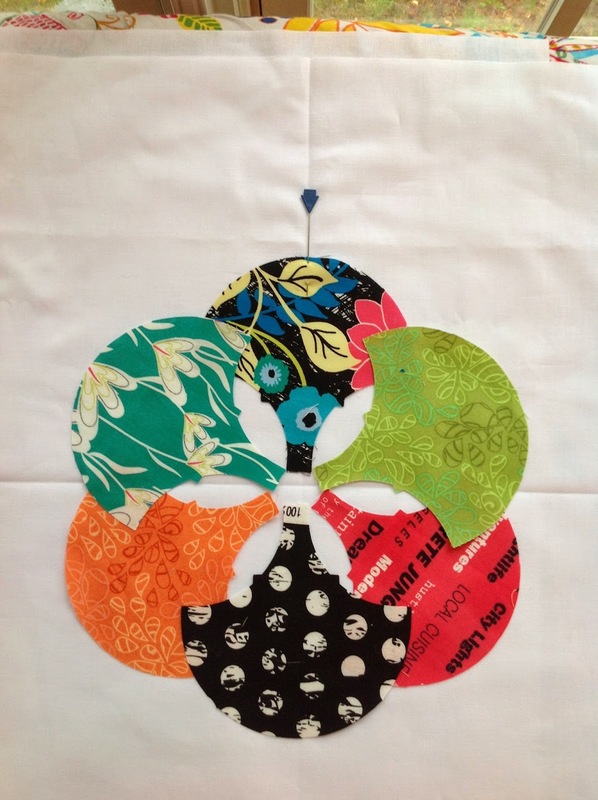 As soon as I saw Sara's fabric THIS flower popped into my head and OUT came the Accuquilt! 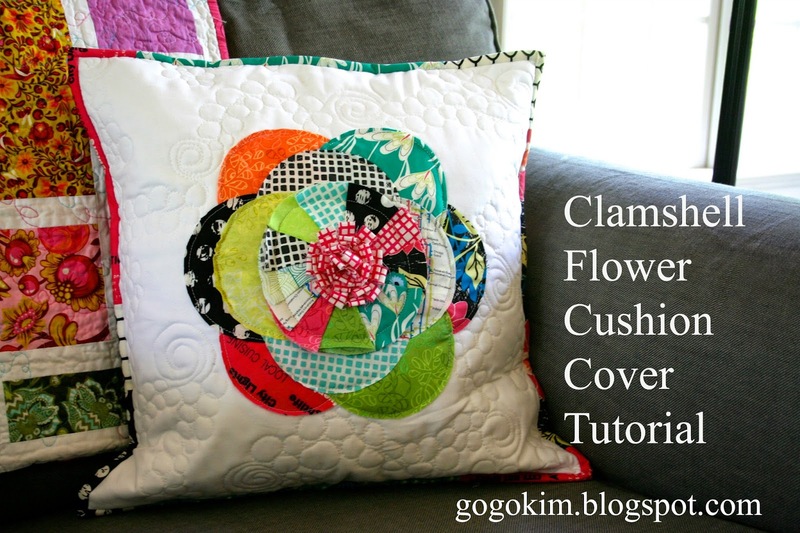 This pillow is so incredibly easy, fun and gratifying to make. 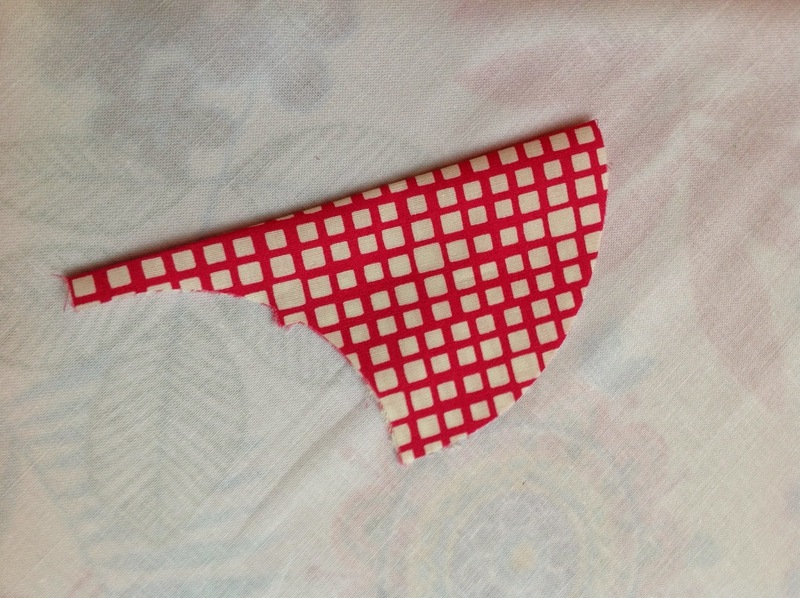 It can be a a FAB scrap buster and honestly I think it is a great pillow for teens to try to tackle. I used the tutorial for the back of the cushion from the tutorial Jaybird Quilts featured on Sew Mama Sew. BEST envelope pillow tutorial EVER! I apologize in advance for the horrible photos, it was POURING down rain and honestly these were the best I could take at the time. I am hoping they will be clear enough for you to be able to follow along. Please read all the instructions before starting this project. Four pieces of fabric 16.5x11 ( for the backing). I used four since I lined the pillow. 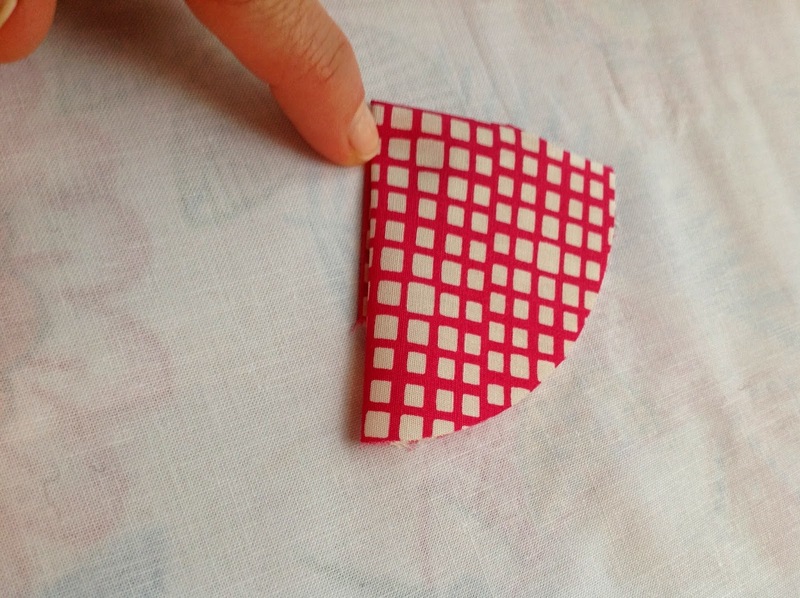 Fold your fabric square in half both ways to determine your fabric center. Center the first shell and pin in place. organize the rest of the shells in a circle. I put just a touch of washable glue stick under each to hold them in place. 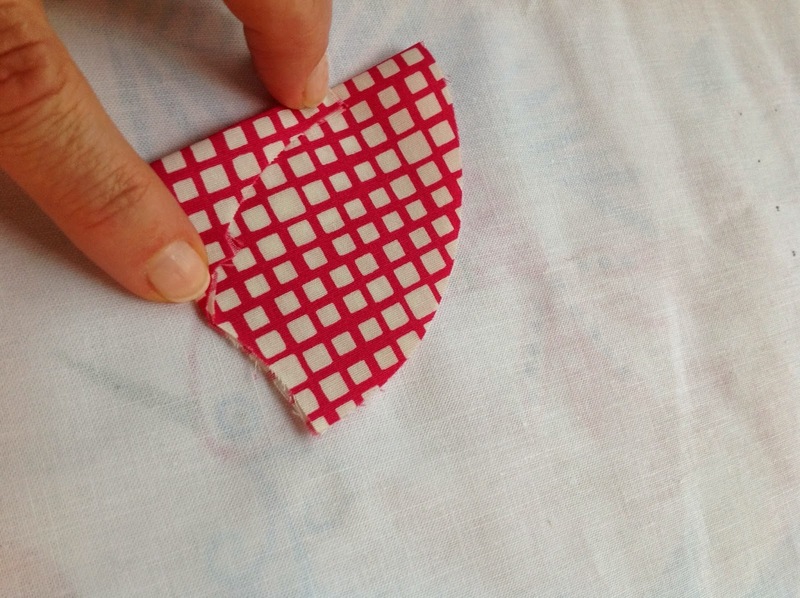 Place the top piece of fabric with the shells on top of the batting and backing fabric to make your quilt sandwich. Then sew around the edges of the shells. Please note that the shells that overlap need to be sewn down as shown in my really bad drawing below. I found this out the hard way and had some up close and personal time with Jack the Ripper to learn this lesson. Choose four more clamshells and place them in on top of the previous shells. Repeat the process of sewing the shells. Then flip over. The tail flipped up crates a pocket to place the nest petal in. It add thickness but that is okay since this is a textured project! Then sew the center about 1/4 inch in and then again in the center. Pin the outside of the flower center down about 1/2 inch in from the center of the previous round of shells and start sewing ( you can use the shown seam since it will not show). 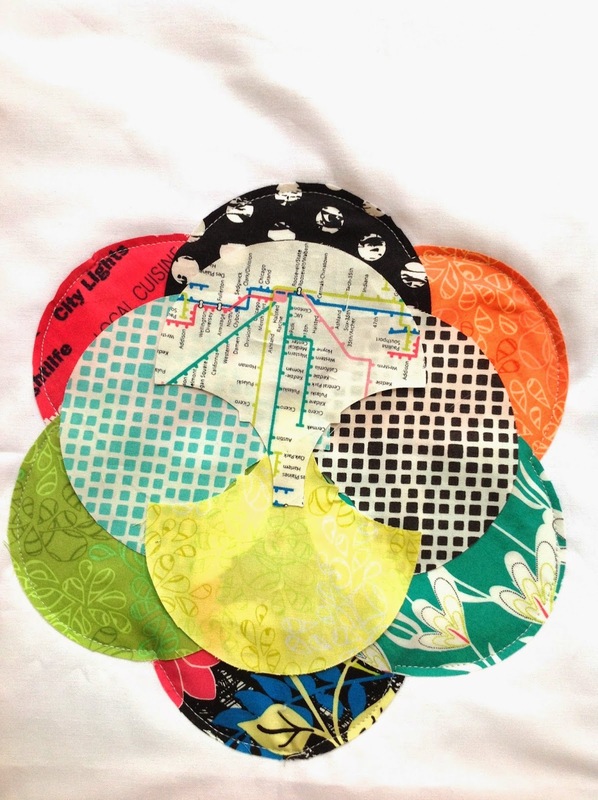 During this step you may need to stop sewing to adjust the circle. Tack down into place to just the right ( or left) of the pin. 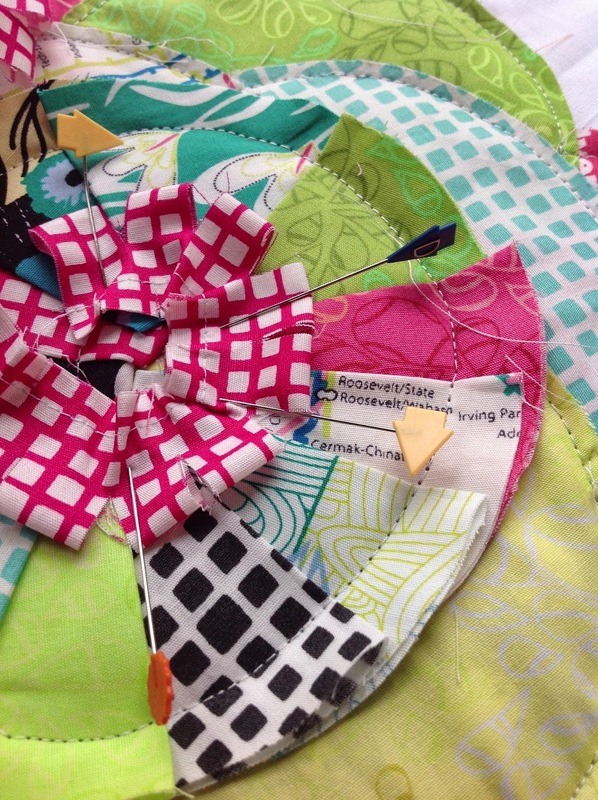 Make sure you are not sewing over the pin! Ta DA! Lovely texture and COLOR!!!! 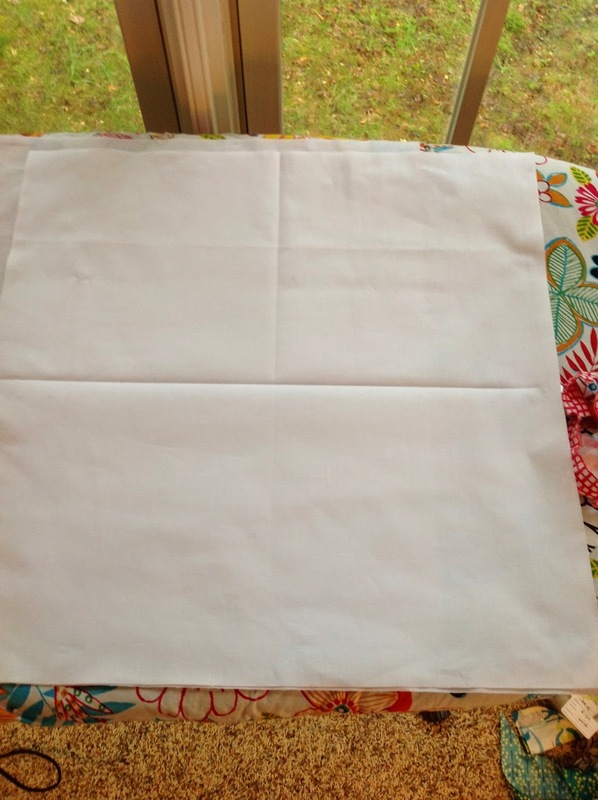 Quilt as you like , trim down to 16.5 inches square and then hop on over to Sew Mama Sew to get the best backing instructions from Jaybird Quilts! Another great tutorial. Thanks for always being such an inspiration! I love the tutorial! Thank you for sharing. Thank you for this tutorial. I was wondering how you'd made the central flower in your last post! Beautiful cushion! And these fabrics are fabulous! Funky pilow. Thanks for sharing. Thank you for this tutorial. The pillow is adorable! Clever use of the clam shell, Kim! Your cushion cover rocks! What an interesting way to use this die! Gets the creative juices flowing!